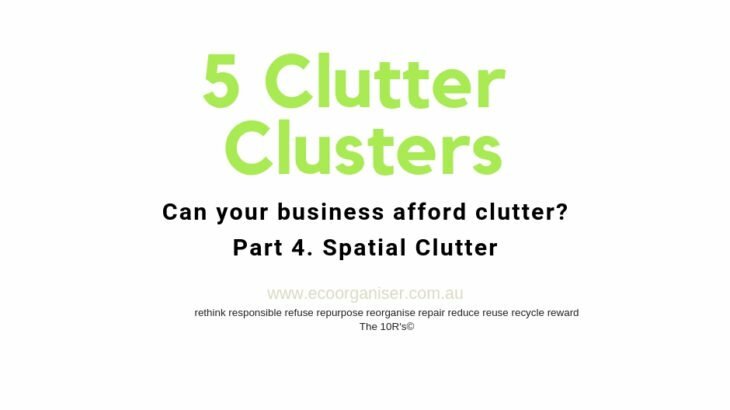 Can your business afford spatial clutter? With office and warehouse space leased and/or sold by the per square metre /foot, paying for space affected by clutter, which cannot be used or accessed for its intended purpose, does not make financial sense. Offices, warehouse space, storage facilities, lunchrooms, boardrooms, meeting rooms, thoroughfares, even vehicles are prone to clutter clusters. Left disorganised, space commonly becomes congested and backed up with clutter and stuff. Decluttering creates a sense of confidence and self-efficacy… Source: Psychology Today clutter reflects an image of disorganisation, hinders traffic flow, and imprints a negative message on the people working within this space and visitors to this space. 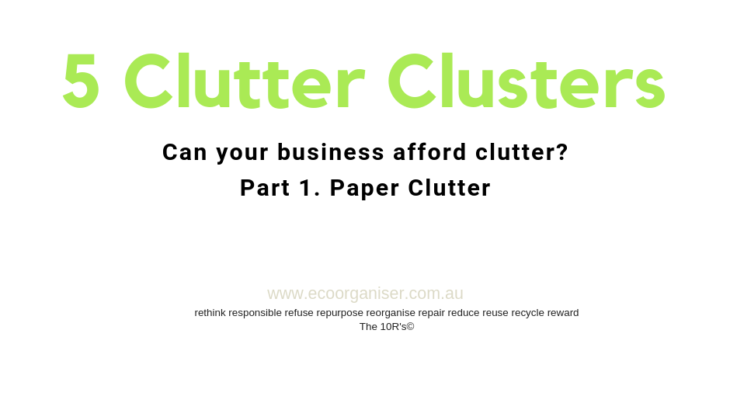 So, can your business really afford clutter? Take a photograph of the space (office, warehouse, thoroughfare, car etc) and take a moment and take a good look at it, you may be surprised to see things you had not seen for some time, things have blended in, walking past them every day yet never really noticing them. Clearing space of items no longer relevant (clutter) offers an accurate view and appreciation of the size on offer. Do I need in the future? Although office clutter hold little value to you, it still holds value, when placed in the right hands we start to see new opportunities arise. 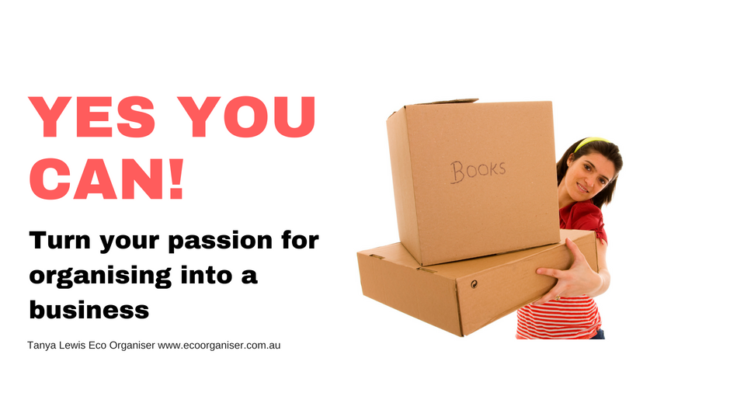 At Eco Organiser® our mission to help our clients ethically declutter, embrace corporate responsibility and do good for the planet by responsibly disposing of unwanted stuff. E Waste European Recycling Platform WEEE, batteries, and packaging recycling – all supported by our unique data services. Are you looking to create positive space in your office, or are your employees out growing your current space? Check out our Useful Links and find ways to responsibly dispose of unwanted items in your business. Part 3. 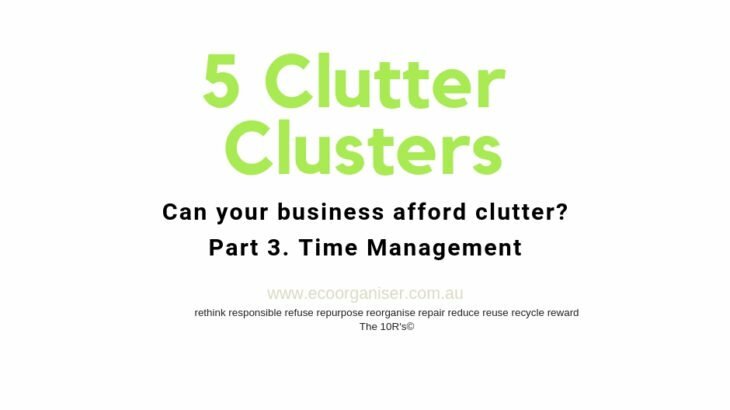 Time Management Can your business afford the cost of clutter? 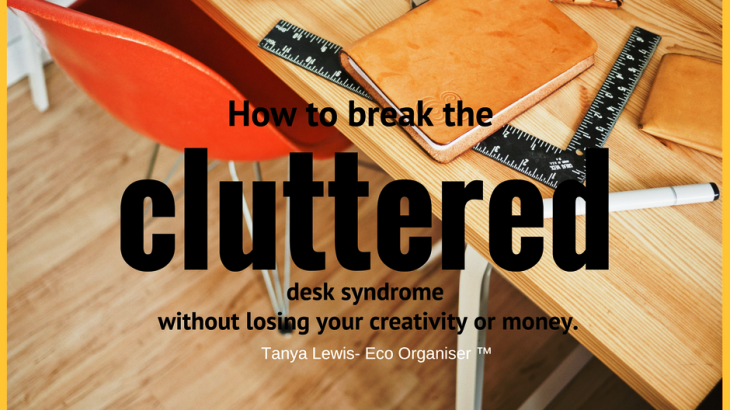 We think of clutter as physical items, yet cluttering our time with stuff that is no longer relevant to our day or tasks, could be the difference between boom and bust. Time spent organising, decluttering and planning our time is not wasted; clearing space is known to improve creativity, reduce stress, enhance productivity and save money. Early studies into digital clutter indicate having too many files could be a problem and lead to increased stress and feeling overwhelmed. 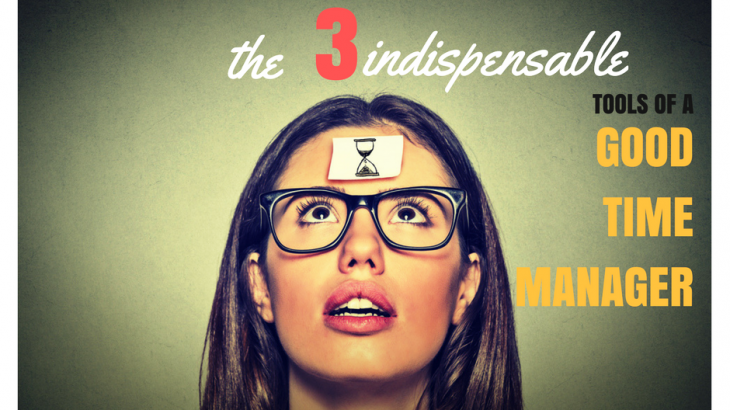 According to the National Association of Professional Organizations NAPO the average person wastes 4.3 hours per week searching for papers, which adds stress and frustration in the workplace, while reducing concentration and creative thinking. Business and work-spaces cluttered with paper, magazines, manuals, files, things that require action, or things totally irrelevant to our role leads to confusion, frustration, lack of direction, in ability to focus, fatigue and limits our ability to produce the results required for the task ahead. 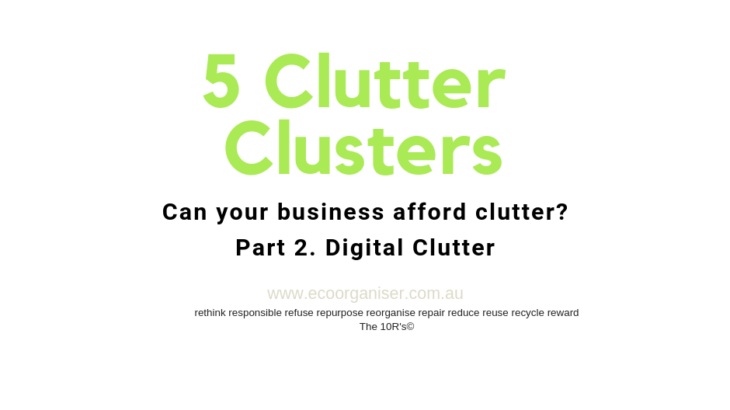 But why bother spending time decluttering, I am too busy running my business? 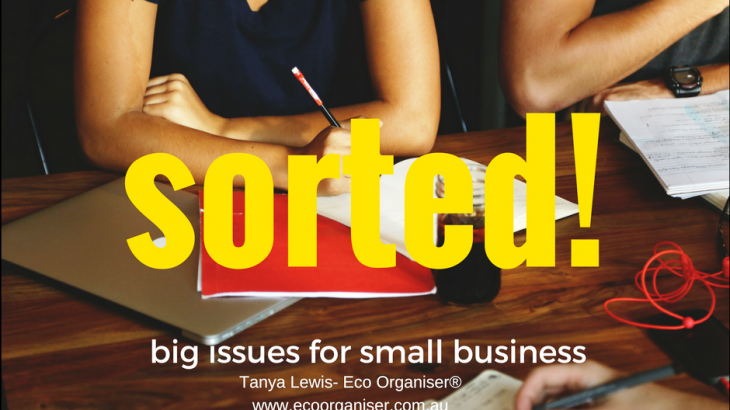 Tired of organising sock drawers and want to turn your passion into business…YES YOU CAN! 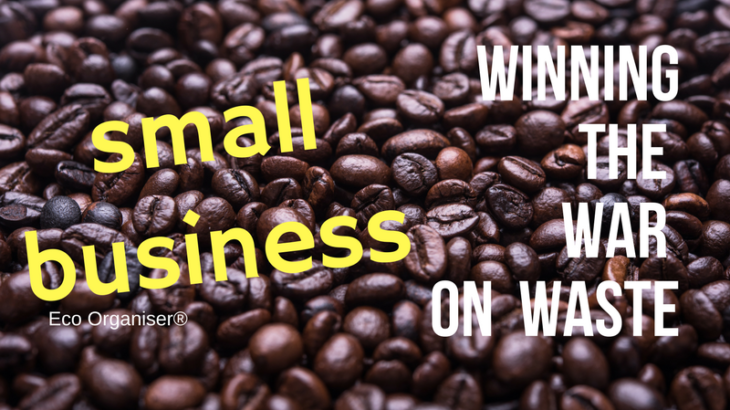 I cannot tell you how many times I am asked “How did you become a professional organiser and can you make a living from it?” To be honest when I first opened the doors to my business, Eco Organiser® I didn’t know there was such a profession, like any new business it takes a lot of effort to grow your business. Way back when, friends and family would say “oh it’s a hobby, not a real job” or “oh Tanya sorts out people’s sock drawers” let me tell you nothing could be further from the truth. La Casa Nostra Deli is a family owned business winning the battle against the war on waste. Business owners Phil and Susan Tomasello are actively reducing single use packaging and encouraging their customers to refill, reuse and recycle within the La Casa Nostra community; overall rethinking waste and winning in more ways than one. I am very pleased to bring you this guest blog written by Nathalie Ricaud professional organiser and the founder of Get Organised & Beyond. She helps women who feel overwhelmed by all the stuff they’ve accumulated in their homes or all the activities they’re trying to fit into their schedule let go of the unneeded and unloved so that they can make room for the important things in their life. She’s the author of a blog and is regularly published in print and online media. She’s also a regular speaker at events and conferences. 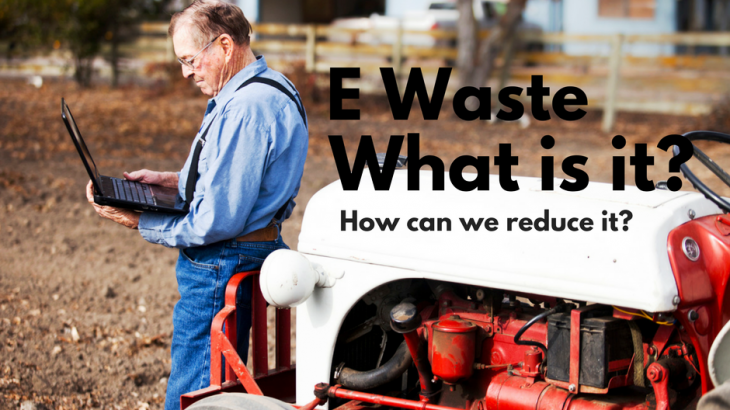 E Waste- What is it and how do we reduce it? It’s a good question and very easy to explain; think of electrical items such as TV’s, computers, mobile phones and laptops, generally things that come out of our office, not the kitchen or the bathroom. With Business Clean Up Day coming up on the 28th February in Australia, we thought it was a great time to tell you about e waste and how we can rethink, recycle and reduce items like this being dumped on the side of the road. In 2007-08 3.17 million new televisions and computer products were sold in Australia, and 16.8 million units reached the end of their life that year? Did you know that 84% were disposed of to landfill? Did you know in Australia we have 8 000 000 000 mobile phones cluttering out cupboards!